Need to Vent! 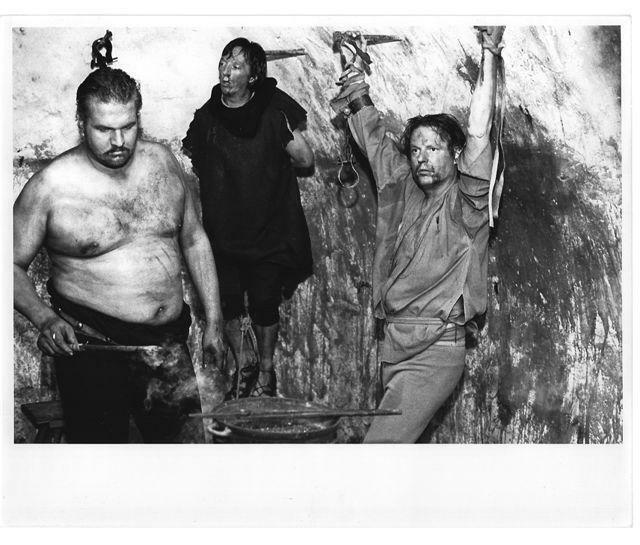 — Movie Reviews with a Twist: Robert A. Nowotny being "tortured" on the set of THE RADICALS. (He hasn't been the same since). Robert A. Nowotny being "tortured" on the set of THE RADICALS. (He hasn't been the same since). Wow, that's cool, Bob! I had no idea you were on an episode of SNL's "Samurai Deli"! Nor, in fact, before either! However, it is a position that most of us who have known him for a while feel is very suitable? or just that it would suit him? What do you bet we can get more support for this being his best and most photogenic side?